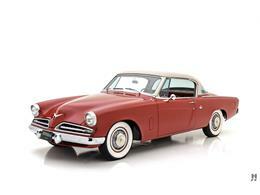 Early in the post-war era, Studebaker held the position of "best of the rest" in the American auto industry. 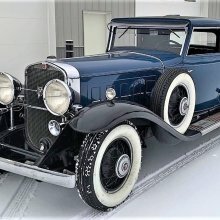 Having recovered from bankruptcy in the 1930s, the South Bend, Indiana firm knew it couldn't compete directly with The Big Three, so they took a lean and agile approach to producing cars. 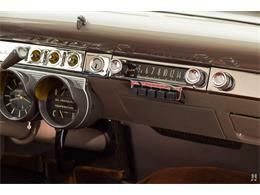 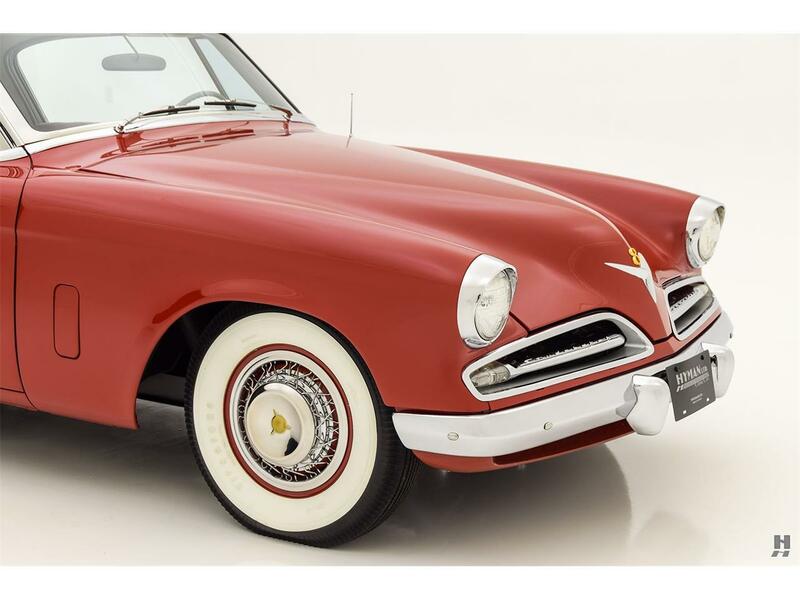 If they couldn't sell the most cars, Studebaker made a point at being the first with new technology and style. 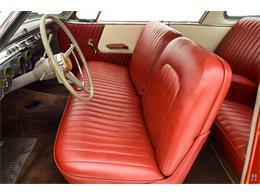 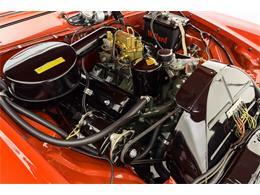 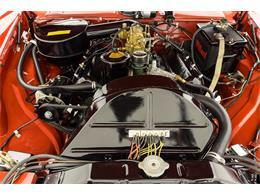 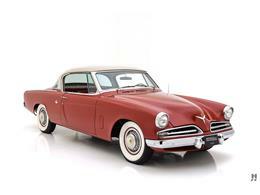 After World War II, Studebaker beat the big three by up to three years with the first all-new post-war car. 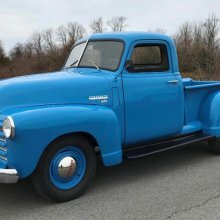 The 1947 models were so unique in the market that it sent other companies scrambling back to the drawing board, and even the mighty Ford Motor Company saw it as the new standard of the era. 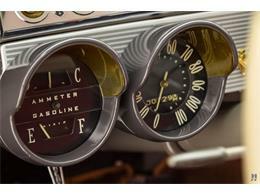 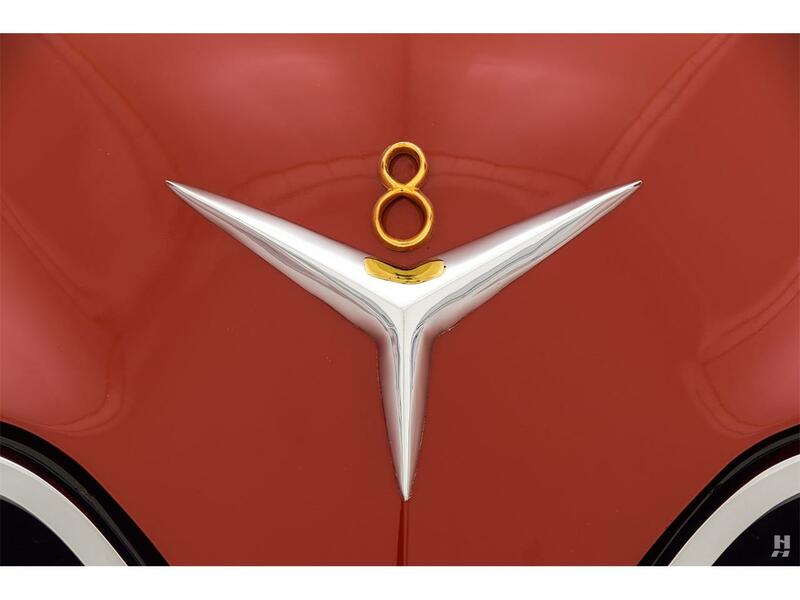 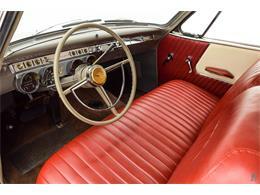 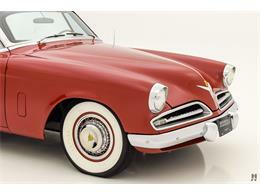 Feeling confident, Studebaker rode their momentum into the 1950s. However, a series of missteps and the last-minute cancellation of the new Model N project meant that by 1952, they were yet again on the back foot. 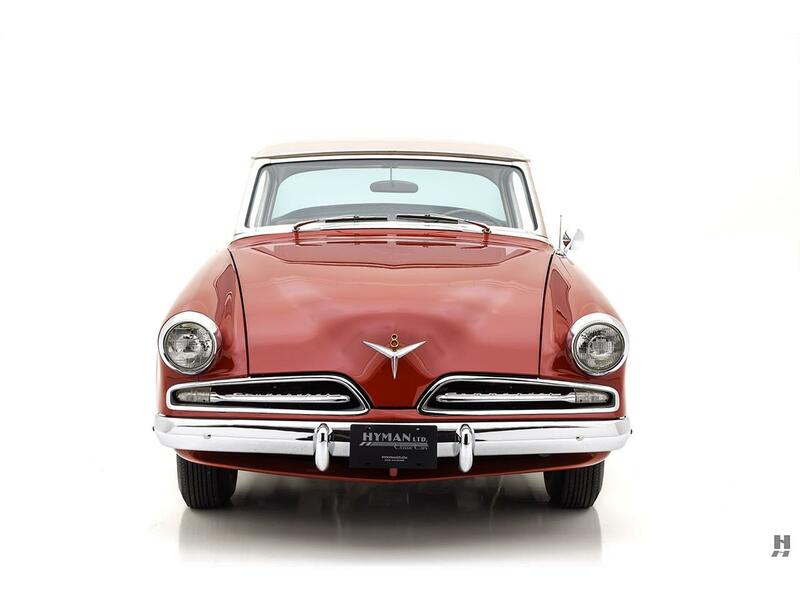 In an attempt to save face and boost morale, the styling team, led by the great Raymond Loewy and assisted by Robert Bourke, created a stunning, European influenced GT-car based on the 120-inch Land Cruiser chassis. In the matter of just ten days, designers worked feverishly to create the rakish, low-slung coupe. All the while, Studebaker bosses were paying close attention, and they quickly saw the production potential of the stunning new design. 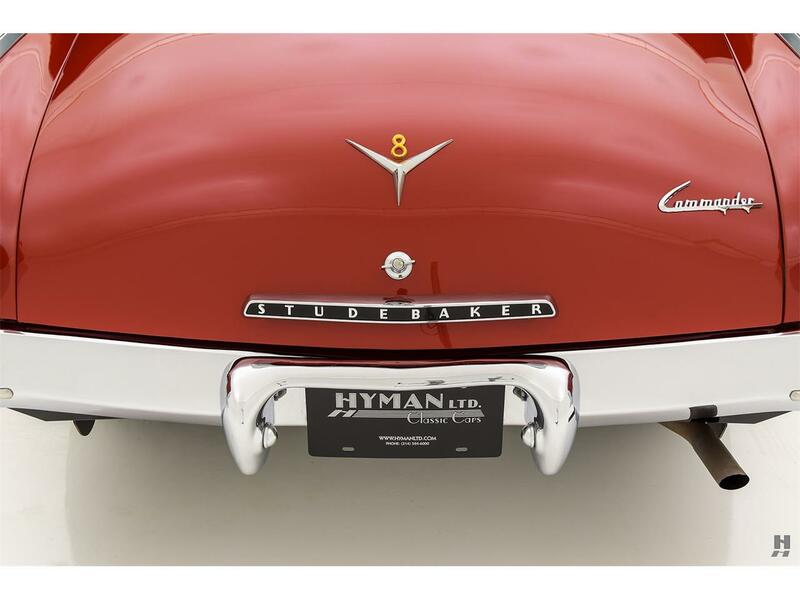 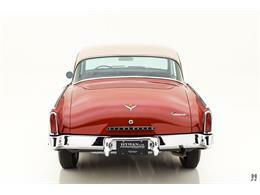 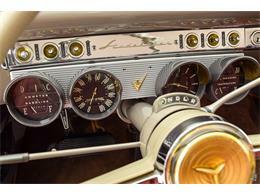 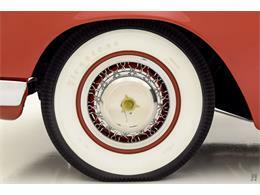 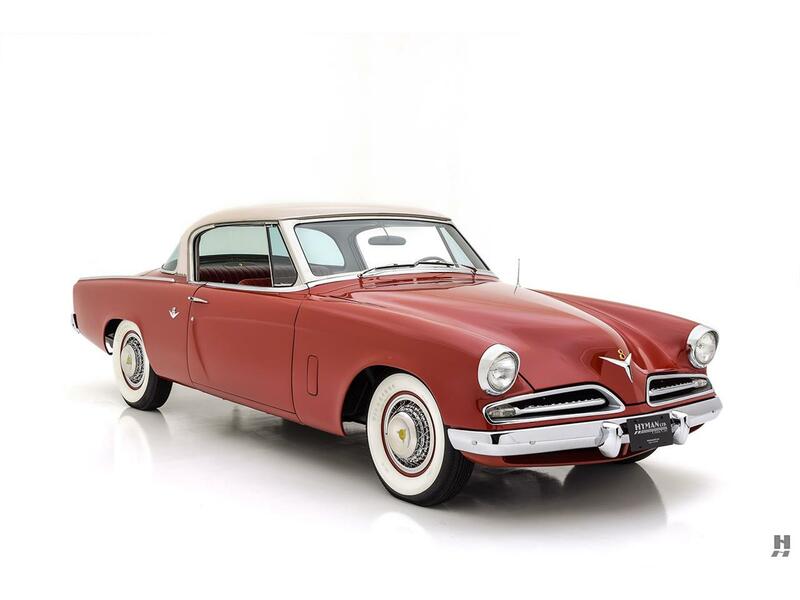 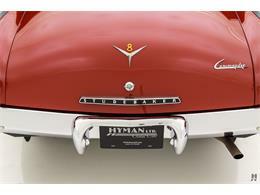 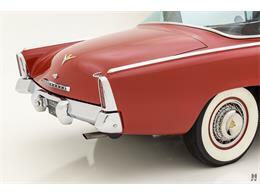 Introduced as a 1953 model, the new Studebakers again stunned onlookers and competitors with its radical styling. 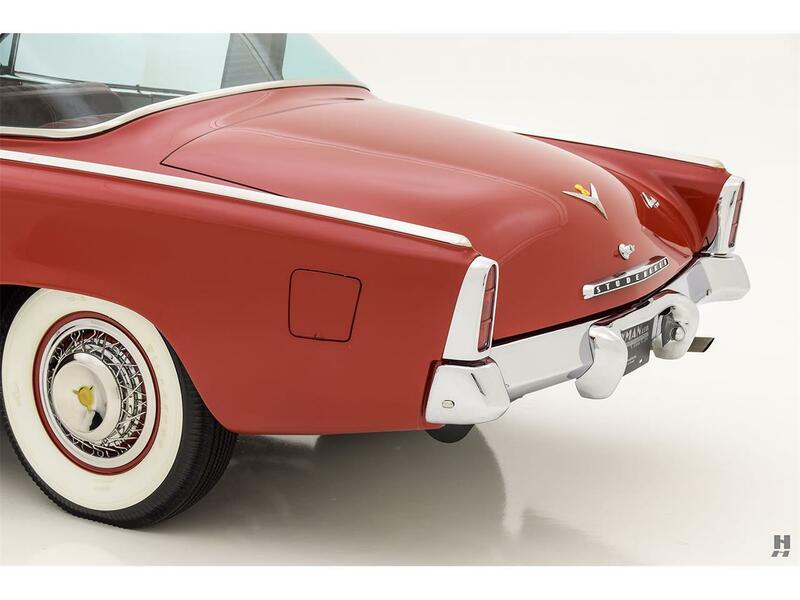 The long and lean two-door coupe was undeniably the star of the show, while the hastily designed four-door sedan was somewhat ungainly in comparison. 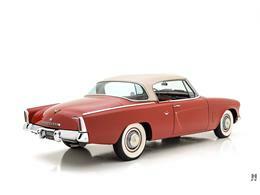 What should have been a massive hit for Studebaker was again hampered by mismanagement and fickle buyers. 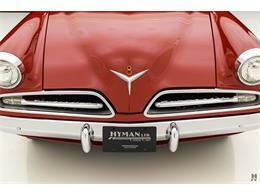 The marketing department predicted sedans would account for 75% of sales, while the coupe would account for just 25%. 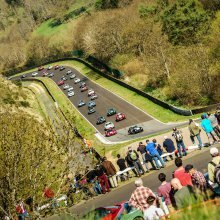 In practice, the split was more like 50/50, and there was no way for the factory to meet such demand for the coupes. 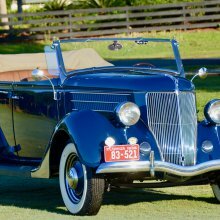 Also, rumors of a merger with Packard caused many buyers to adopt a "wait and see" approach, for fear of buying a potential orphan. 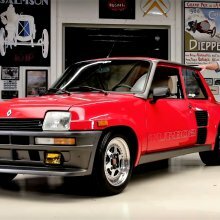 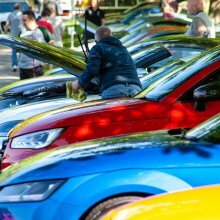 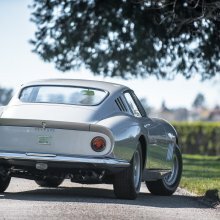 Engineering and quality issues struck the earliest batch of cars, souring the otherwise beautiful machine's reputation from the word go. 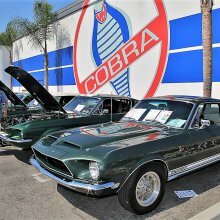 The final straw came in the form of a price war initiated by the Big Three, which saw the Independents left in the dust and unable to compete in a fierce market. 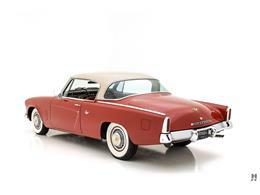 Despite the initial setbacks, the Loewy-Bourke Coupe would serve as the foundation for Studebaker's flagship models for years to come, going through several refreshes and redesigns, evolving into the Hawk line before Studebaker's eventual demise in the mid-1960s. 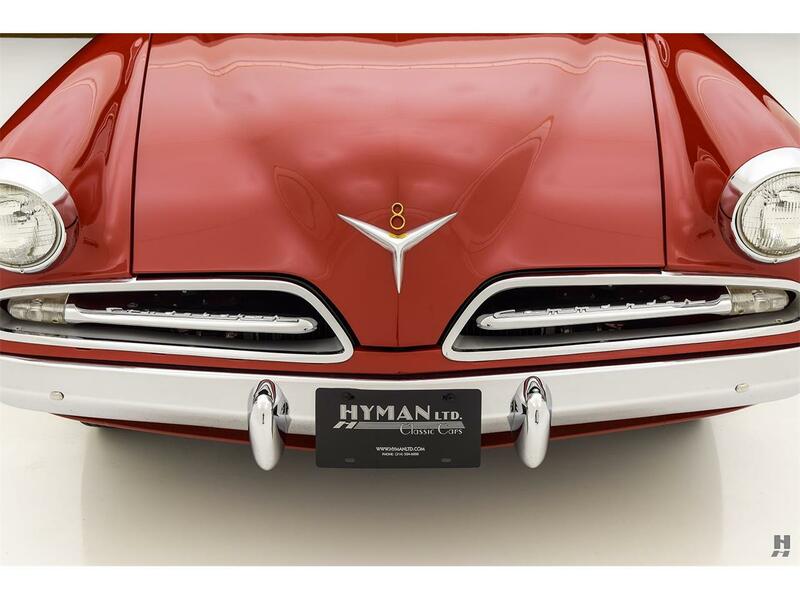 Today, early examples stand as some of the prettiest post-war American cars ever built, with distinct European-influenced styling from the Father of Industrial Design, the great Raymond Loewy. 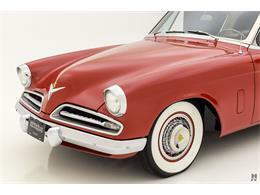 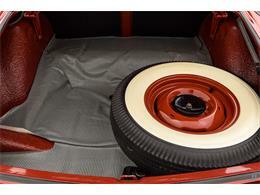 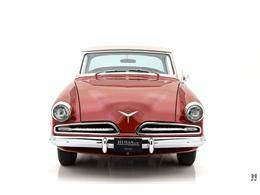 Representing the top of the line for 1953 Studebakers is this gorgeous Commander Starlight Hardtop. 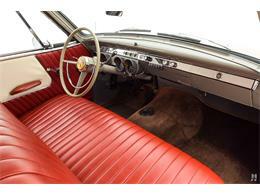 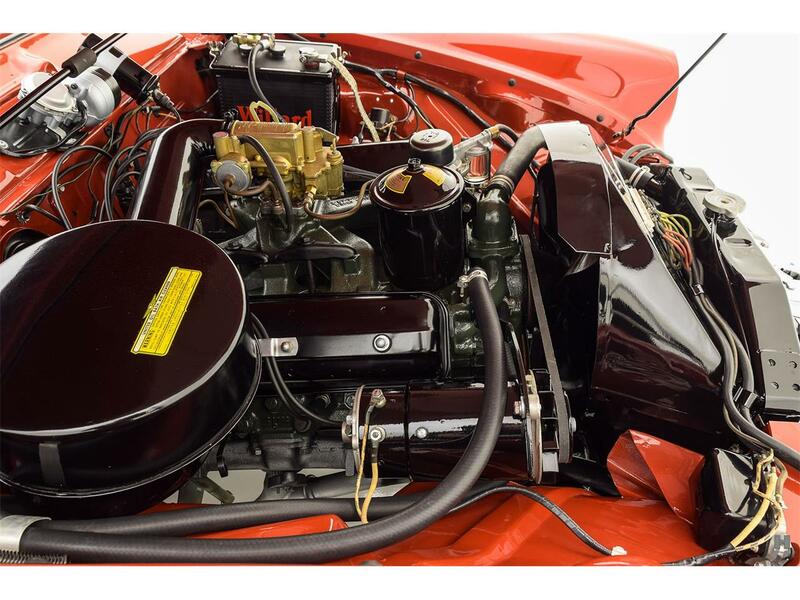 This car is an outstanding example of the breed, subject to a bare-metal restoration finished in attractive factory-offered colors of Bombay Red with a Salem White roof. 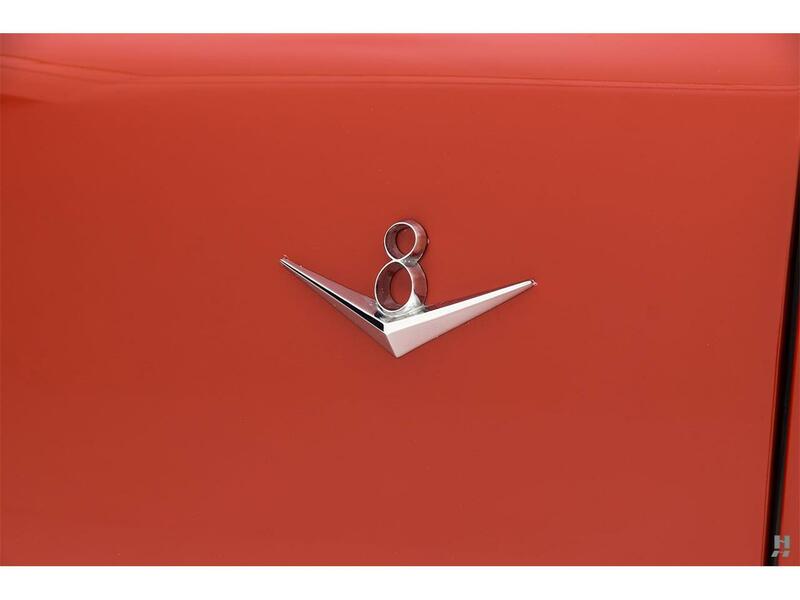 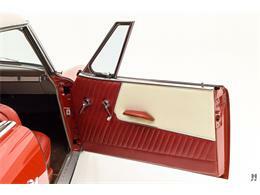 This car comes to us via long-term ownership in a private collection of similarly high-quality vehicles. 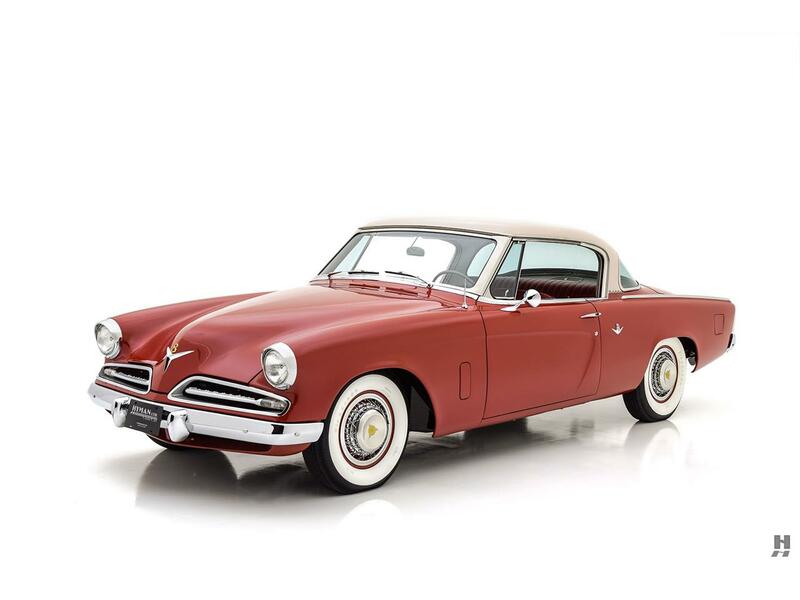 Following its restoration in the early 2000s, it appeared in Collectible Automobile Magazine, in a special feature about the Loewy Studebakers. 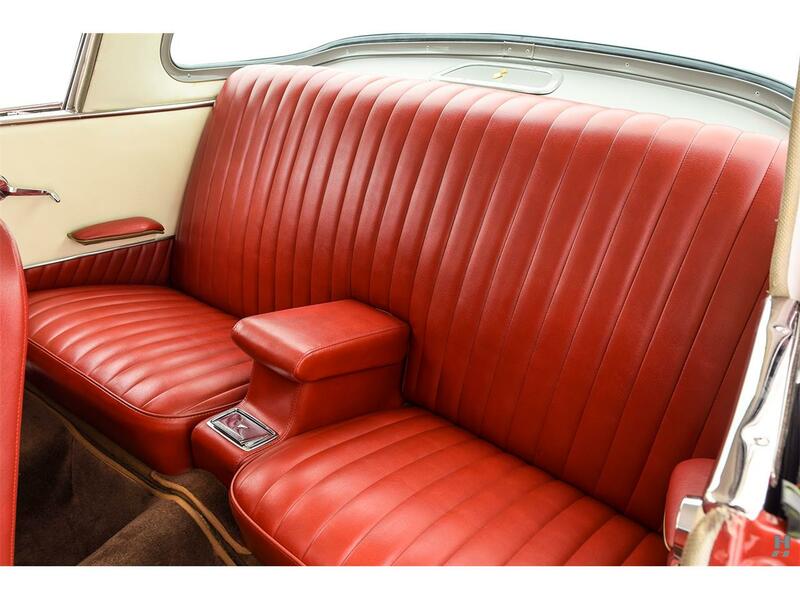 Today, the excellent older restoration remains in beautiful condition, with straight panels, high-quality paintwork, and exquisite detailing. 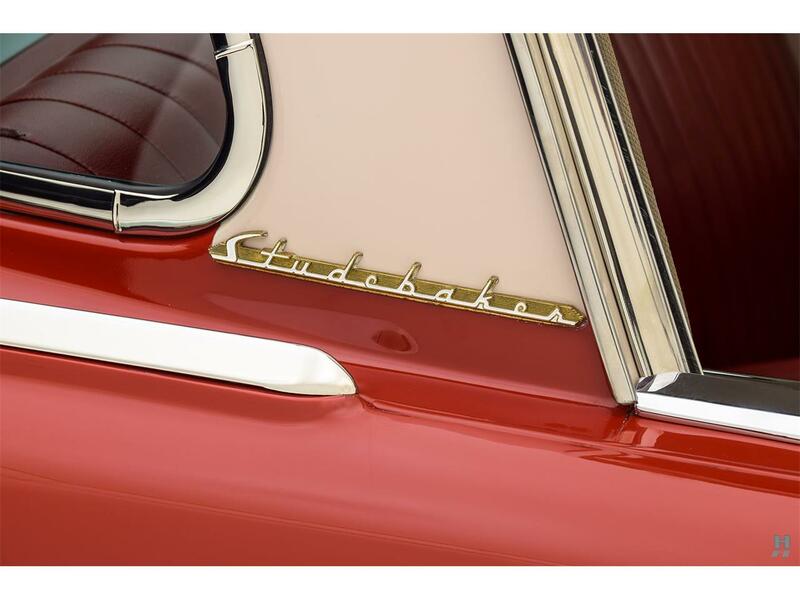 Devoid of the fussy chrome jewelry that was typical of the early 1950s, the Commander Starlight has delicate bumpers and carefully judged brightwork that highlight the clean and uncluttered lines. Excellent, high-quality plating features on the bumpers, grille, and window trim, and the car is very well-detailed. 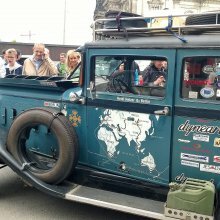 It rides on period correct Firestone whitewall tires, with the steel wheels fitted with factory-optional wire wheel covers. The theme of restrained elegance continues inside, with a clean and orderly layout to the dash and understated upholstery treatments. 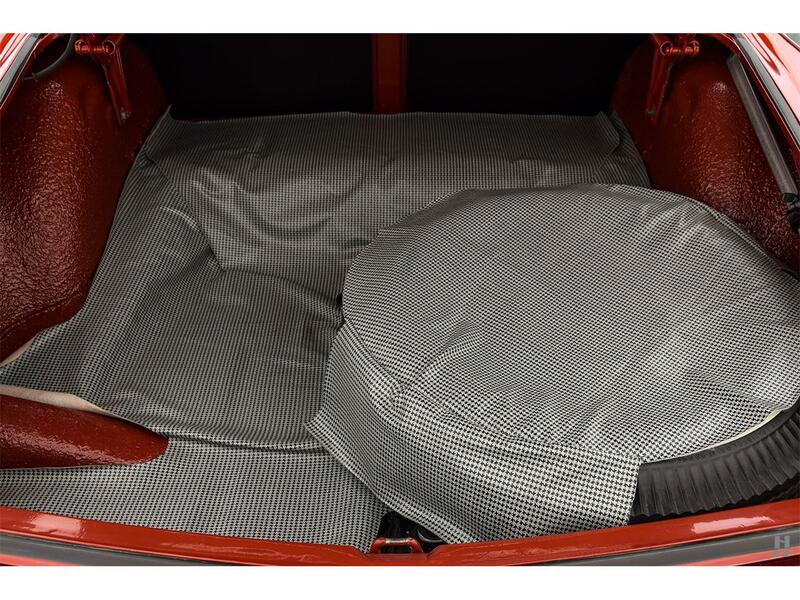 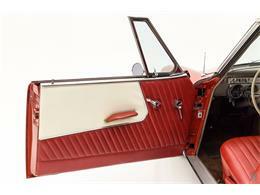 The two-tone red and white upholstery mimics the paint scheme, trimmed using correct materials and finished to a very high standard. Plush brown carpeting and touches of gold accent plating on the dash denote this as a range-topping Starlight. 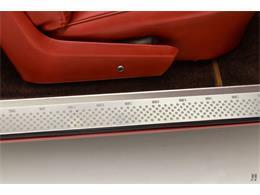 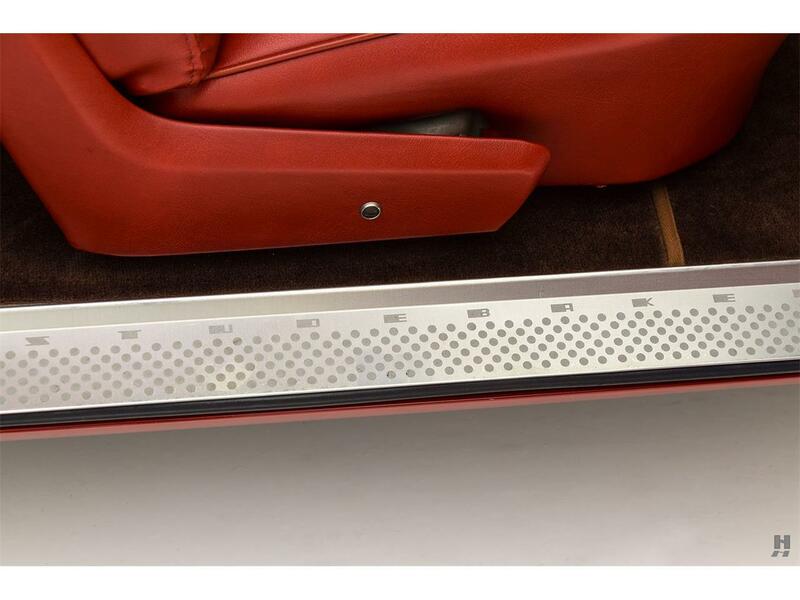 Despite the rakish profile, rear passengers enjoy comfortable seating, thanks to a recessed floor and low-mounted individual seats. 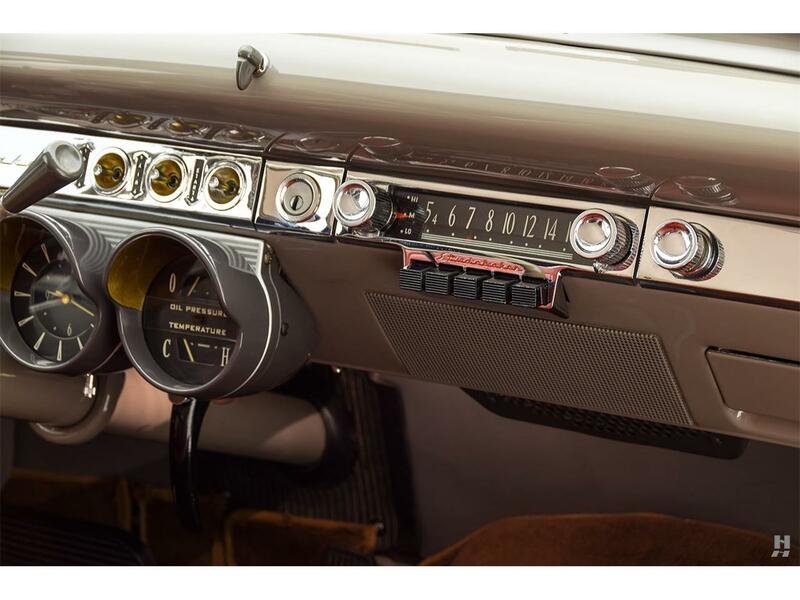 Restored instruments are excellent, and this car features the Studebaker Climatizer - a primitive automatic climate control system of sorts. 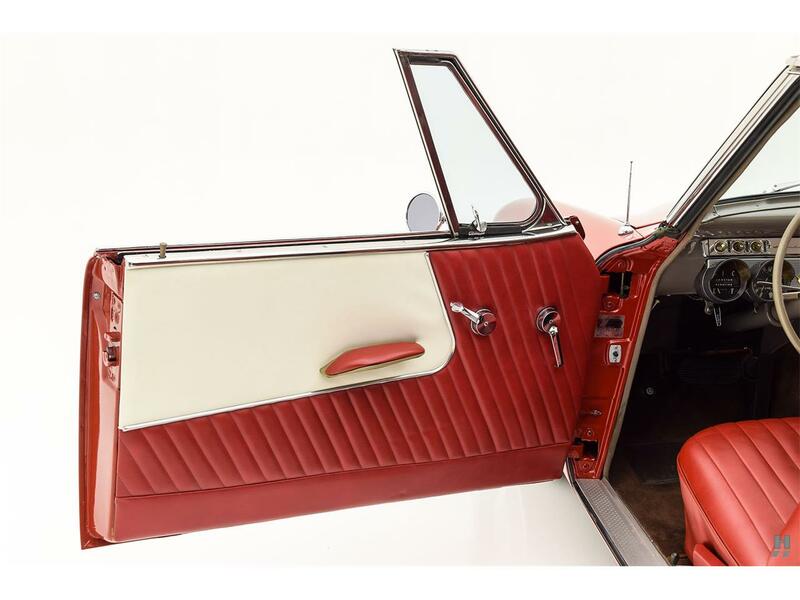 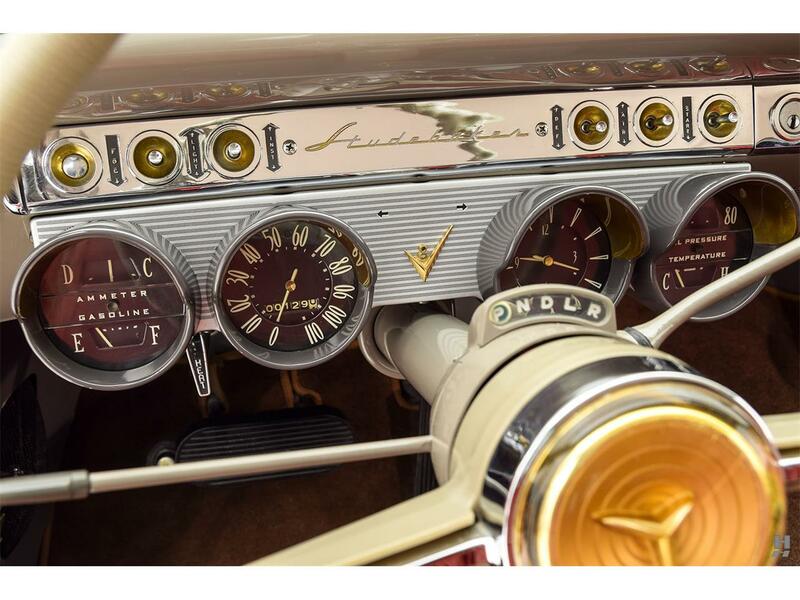 In addition, there is a period radio, a highly-detailed trunk, and the sale includes a host of period advertisements, owner's manuals, and factory service manuals. 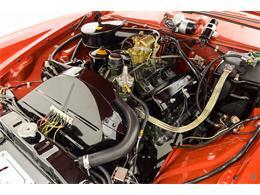 Power comes from the original 232 cubic-inch OHV V8 engine, making 120 horsepower in standard spec. In this car, it pairs with an automatic transmission to create the ideal relaxed grand tourer. 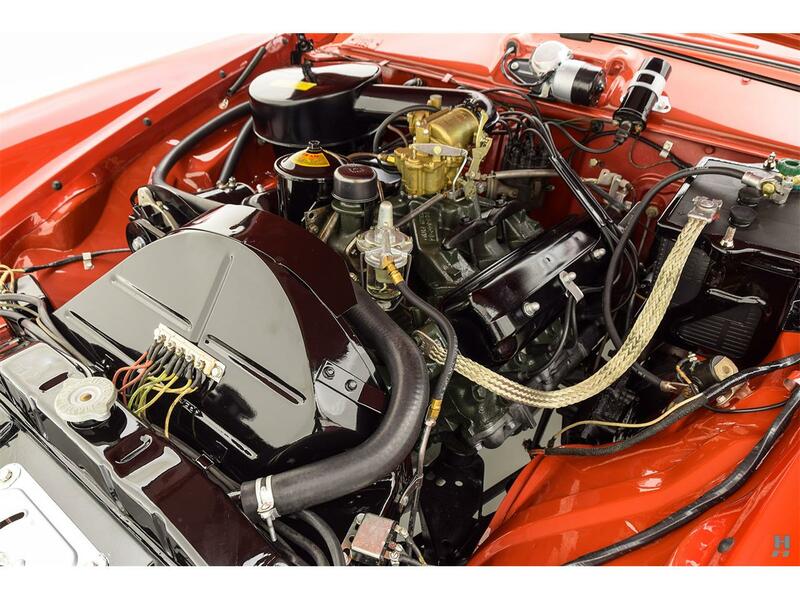 Much like the rest of the vehicle, the detailing is exceptional, with correct paint finishes on the engine and accessories. 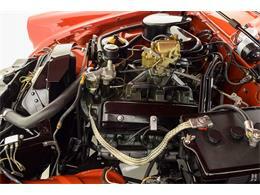 Correct fabric wiring is used, and factory correct decals appear on the oil filter and air filter housings. The attention to detail is outstanding, down to the correct Willard battery. 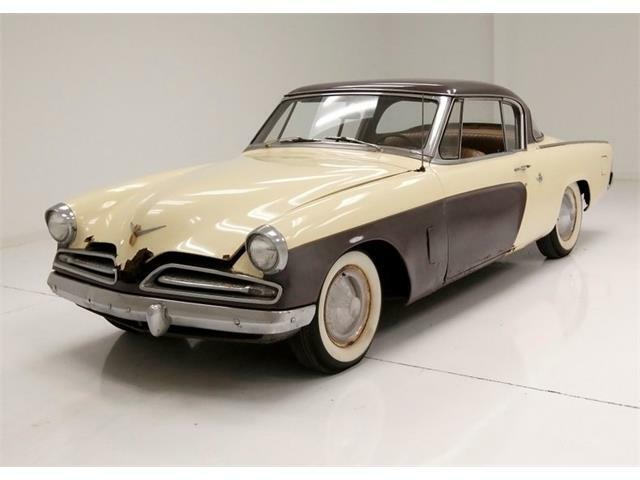 Rarely do we encounter Studebakers of this era restored to such a high level, and it is marvelous to see such an excellent example of the stunning Loewy-Bourke coupe. In addition to the owner's manuals and factory literature, the sale includes an extensive history file containing restoration photos, marque and model history, technical information and a copy of the factory production records. Highly detailed and ready for enjoyment, this 1953 Commander Starlight Coupe brilliantly captures the optimism and creativity that defined Studebaker in the early 50s. 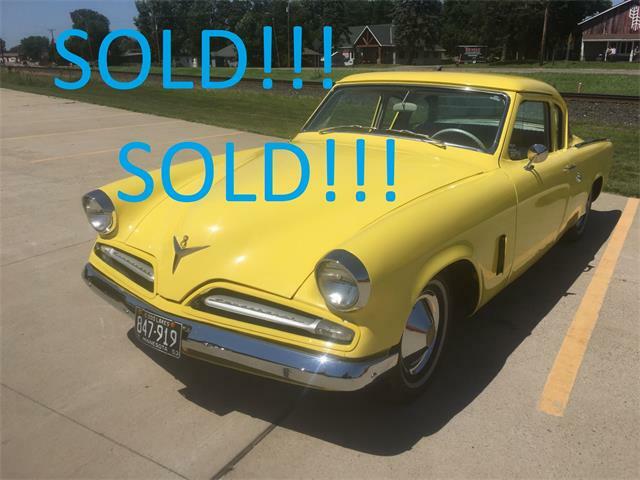 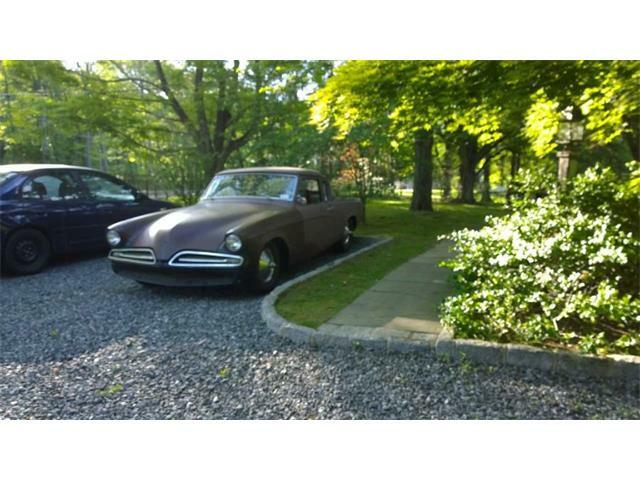 Hi, I'm interested in your 1953 Studebaker Commander listed for sale on ClassicCars.com.